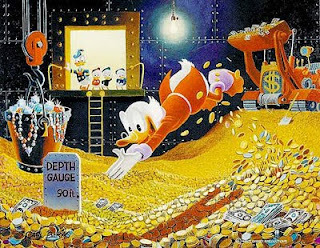 Regular readers of The Comics Cube know that I've reviewed Fantagraphics' first two installments in The Complete Carl Barks Library, DONALD DUCK: LOST IN THE ANDES and UNCLE SCROOGE: ONLY A POOR OLD MAN. You also probably know I love them, and think very highly of Barks. Despite my extensive plugging, those posts get virtually no hits. Moreso, not a single person has bought them through my Amazon links at the bottom of those posts. Those stats are backed up by my anecdotes — no matter how much I talk about it, I have had very limited success in getting people to read those books. I can't speak for everyone, of course, but I think it's pretty understandable that I would attribute the reasons for this to people being of the "Well, it's Disney; just how good can it really be?" mindset. Be honest. If I say "Uncle Scrooge is one of the greatest comic characters ever created," how would you react? Most likely with an "I understand, but I'm not interested," right? And that's the thing. It's frustrating. I've said what needs to be said! It's all there — these are great characters. Barks is a master of pacing. Barks is the first to prove that you can tell really long stories without dragging. Unlike TINTIN (for example, since Tintin stories seem to lose something after growing older), UNCLE SCROOGE still holds up the older you get. Unlike other comics, you don't need to take the time period Barks' comics were made into account — they still hold up today. They're good for kids. They're good for adults. They're entertaining, while at the same time, they say something about the human condition. So why can't I get people to read this, but I can get thousands of people either arguing with me or agreeing with me about Grant Morrison's comments being right or wrong? Maybe I'm not authoritative enough for my opinion to be conclusive. So fine. Let's pull out some facts! Fact 1: Disney employees worked in anonymity, and yet somehow fans still found out who Barks was. Jim Korkis' article over here sums up this story perfectly. Barks worked on multiple titles, including WALT DISNEY'S COMICS AND STORIES and UNCLE SCROOGE, along with many other ghost artists. But the fans could tell via visual cues that, much like in Archie, different stories were drawn by different people. Barks was known among the fans simply as "The Good Artist," and when two fans, Malcolm Willits and John Spicer, got together, they found him, went to his house, and published an interview with him, "outing" him to the world. When you hear of other artists getting this kind of dedication and love from his fans, give me a call. Fact 2: Carl Barks had free reign at Disney, when no one else did. In COMIC BOOK COMICS by Fred Van Lente and Ryan Dunlavey, it's stated that Walt Disney managed everything to the point of actually going over some of the comics. He was very protective of the final product and was difficult to work with, to the point where employees avoided other employees that had fallen out of favor with Walt. But not when it came to the works of Carl Barks. Barks had free reign at Disney. He didn't need to be managed. Fact 3: Carl Barks may have been responsible for the bestselling single issues of all time. Okay, work with me here. COMIC BOOK COMICS states that WALT DISNEY'S COMICS AND STORIES achieved the highest circulation of any comic book in history. But how much of that had to do with Barks? Here are three facts. Various books on comics have credited funny animals as the top-selling genre of this era. UNCLE SCROOGE debuted in 1952 and was the top-selling comic in 1960, selling 1,040,543 copies . It was followed by WALT DISNEY'S COMICS AND STORIES. Both were significantly ahead of the next title, and outsold the next funny animal title, MICKEY MOUSE, by almost half their sales. What did UNCLE SCROOGE and WDCS have that MICKEY MOUSE didn't? Barks. Conclusion: The highest-selling period in comics history was most likely headlined by UNCLE SCROOGE and WALT DISNEY'S COMICS AND STORIES, both of which Barks contributed to. Fact 4: Carl Barks influenced George Lucas and Steven Spielberg. George Lucas wrote the introduction to ONLY A POOR OLD MAN. Bark's influence on him and Barks is well documented. The opening sequence of INDIANA JONES: RAIDERS OF THE LOST ARK is taken from "The Seven Cities of Cibola," from UNCLE SCROOGE #7. Fact 5: Carl Barks kickstarted manga. 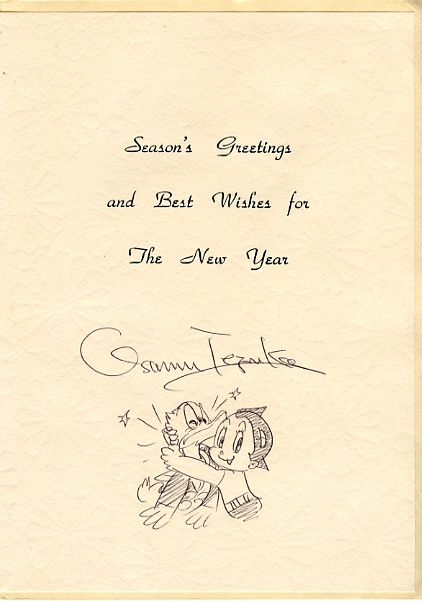 Manga developed after World War II at the hands of one designer, Osamu Tezuka. He was influenced a great deal by the work of Carl Barks – the creator of Scrooge McDuck. Basically, Tezuka made an American art form Japanese by mixing Disney with sophisticated stories. While I disagree with his implication that Barks' stories were not sophisticated (they seriously are as sophisticated as you, the reader, would like them to be), it is impressive that Barks' influence would spread out so strongly in the one country where the comics are often said to have developed completely independently of Western influence. In the gigantic roster of Western comics, Barks stands apart in this matter. Just for fun, here's a greeting card Barks got from Osamu Tezuka one year. Fact 6: Academics and scholars love Carl Barks. Fantagraphics' collections come with essays from scholars, professors, and historians that talk about the Duck stories. Like I said, it really is as sophisticated as you would like them to be. Much like Bill Watterson's CALVIN AND HOBBES, Barks' stuff can be enjoyed by people all ages, different backgrounds, and different levels of intellectual involvement (you can read them as pure entertainment or look deeper). The difference is that I bet if I were to recommend CALVIN AND HOBBES, a thousand of you would read that article, despite the fact that it has a talking tiger in it. Fact 7: There is an asteroid named after Carl Barks. Well, there is. And it was named after him in 1983, 30 years after UNCLE SCROOGE was outselling everything on the market. So where does that leave us? Well, it's highly possible that Barks' legacy is hurt by the fact that he worked on Disney characters. He's often overlooked in "The Greatest of All Time" discussions, and I'll admit it, I think I even ranked him too low on this list. Would Barks' legacy have been better off if he did his own stuff? Would he have been more renowned by fans if he had done superheroes instead? Would he have been better off doing anything other than Disney characters? I don't know. What I do know is this: at one point in comics history, Carl Barks dominated the market with not one, but two books. He was so huge that even though he worked in anonymity, people distinguished him, and even found out who he was. Two of the most acclaimed and influential filmmakers of all time are strongly influenced by him. Walt Disney himself let him do whatever he wanted, and he, alone among his peers, stood out as having a significant effect on the comics of a country often purported to not be influenced by Western comics. His works have been enjoyed by children and university professors alike, and to top it all off, he has an asteroid named after him. If he's not on top of the mountain, he's damn well close to it. And there's no good reason, as far as I can see, that he's not talked about more often. Recommending him shouldn't be this hard, simply because he was that good. Carl Barks may have been the greatest comic book creator who ever lived, which makes it more of a damn shame that he gets as overlooked as he is among comic book fandom. It really is difficult to convince people about how great Carl Barks is (as well as Don Rosa). They have a hard time seeing how good an innocuous and fun Duck comic can be. Rosa's "The Life and Times of Scrooge McDuck" is one of the all time great stories in comics but is often forgotten. Similarly, it's hard to get more people to read Floyd Gottfredson's masterful take on Mickey Mouse, where he actually had a personality. And it doesn't help that Disney has since stripped Mickey of a personality and turned him into nothing more than a corporate logo. I really don't see why Uncle Scrooge doesn't sell more. I mean, I don't collect brand-new comics since I'm not that big of a fan, but if I see an old Uncle Scrooge comic book at Booksale, for example, I buy it. I'm a scrooge myself, that way, but with how fun the books are to read, you'd think that folks with a deeper connection with the medium would want to buy collections like the one you wrote about. jayelgee3: Mickey was awesome in Kingdom Hearts! Um, so, that has nothing really to do with your comment. I just wanted to say that. A good article, but I'd like to point out (this is a very frequent misconception) that Barks was NOT a "Disney employee" when he did his comic book work, and that Walt did not personally supervise any of the Disney comics. Barks had once been a Disney animator, but as a comic book artist he worked for Western Publishing, a company that licensed the Disney characters from the Disney company for comic book use; his work was subjected to scrutiny by Western editors like Chase Craig, Carl Buettner, and Alice Cobb, not Walt. I don't know where the cited Van Lente and Dunlavey got their information from, but they're wrong when they suggest that Walt was personally involved with the Disney comic books (Walt DID have some involvement with the Disney comic strips, but these were created in-house by the Disney studio. Hi Mr. Neyer! Can I ask for a reference for that piece of info? Thanks! In many countries, such as here in Norway, or in several other European countries, I think the statement "Carl Barks was the greatest of all time" would be met with something along the lines of "Yeah man, and the grass is green, the sky is blue!" rather than a "huh?" or a shrug. Of course it would have been nice for him to get even more worldwide recognition, especially in his home country, but at least it's something, right? I agree... Carl Barks is the greatest of all comic book writers and artists. His stories about the Ducks, especially Uncle Scrooge and the supporting characters, Donald and the rest. The characterization is superb. The plots and stories are funny, and can be enjoyed by both kids, teens and adults. Now tell me what comic book has that age range of following. I read these stories when I was in grade school in the 1950's, read and collected the comic books throughout my high school years... read and reread my collection in college and my professional life... and still enjoy them as a retiree. Carl's artwork is fantastic...superb, especially the way the facial expressions of his characters were drawn to convey feelings. I'll never tire of reading these tales. I am glad Fantagraphics is reprinting all of Carl Barks' works. I do not find any of Carl's works in the comic book stores here in the Philippines so I order them through Amazon. I have to admit that I have been enjoying Carl Barks' 'Duck' comics all of my life without know who was behind them! But thanks to postings such as this one from Duy Tano, Carl Barks can enjoy continued recognition. Recently, I discovered the Fantagraphics reprinting of Carl Barks' works and am pleased to own six (three box sets) volumes with the next set (Pixilated Parrot & Terror of the Beagle Boys) on order. Also, the Carl Barks "Scrooge" with signed lithograph, from which we learned that Carl and Garé once lived in our fair town of Temecula, CA! We visited the place (retirement enclave) and drove right to space 119 where they lived. Needless to say, it was a thrill to walk around the place where they once lived. I pledge to Duy that I will put this site in my "Favorites" and return to it often! I was an avid comic book collector in my grade school years in the 50's and my teen years in the 60's (mostly Dell and later, Gold Key) especially Uncle Scrooge and Donald Duck. Read and reread the Barks stories till college. Sadly over the years, my collection of originals got lost little by little. Two Christmases ago my eldest son and his wife gave me a two-volume slipcase set of Scrooge and Donald; it got me started in collecting the Barks series. 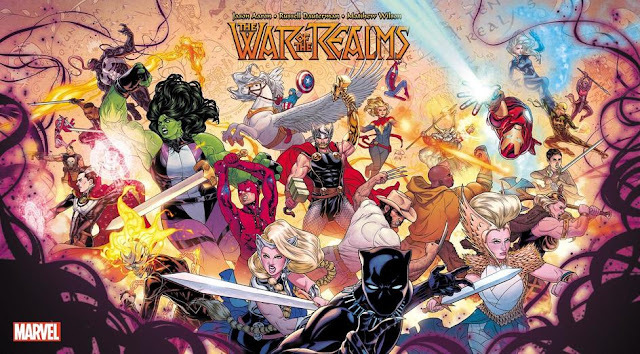 Since it is unavailable here in the Philippines even in the best comic book stores, my best recourse is Amazon; a friend working for the airlines hand carries copies I order for me. What I enjoyed reading in my youth, I still do with greater depth now, being in my senior years.